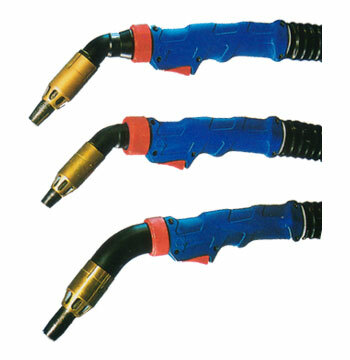 Designed to remove harmful fumes and maintain high air quality in the workplace without cumbersome attachments, these MIG guns incorporate a fume extraction system from the nozzle to the end of the power cable. Fumes are pulled the entire length of the gun through a simple suction system that includes cable end fittings designed for most fume extractors. Models are available from 150 through 500 Amps.